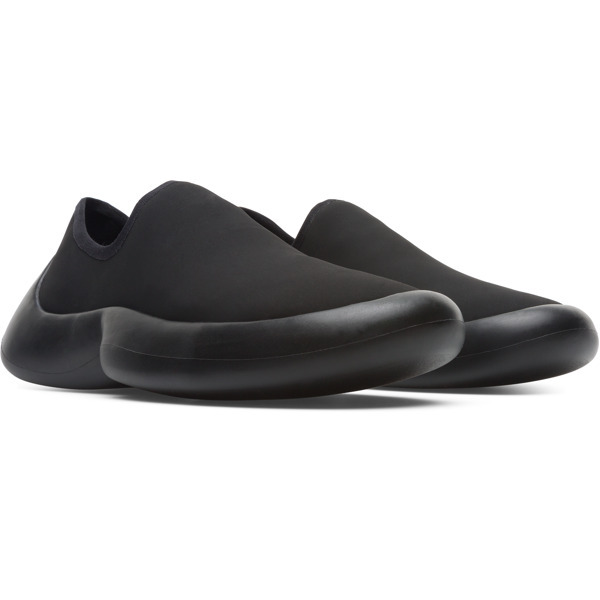 A combination of advanced materials and a futuristic, almost sci-fi look make these black slip-on sneakers some of our most refined-yet-innovative shoes ever. 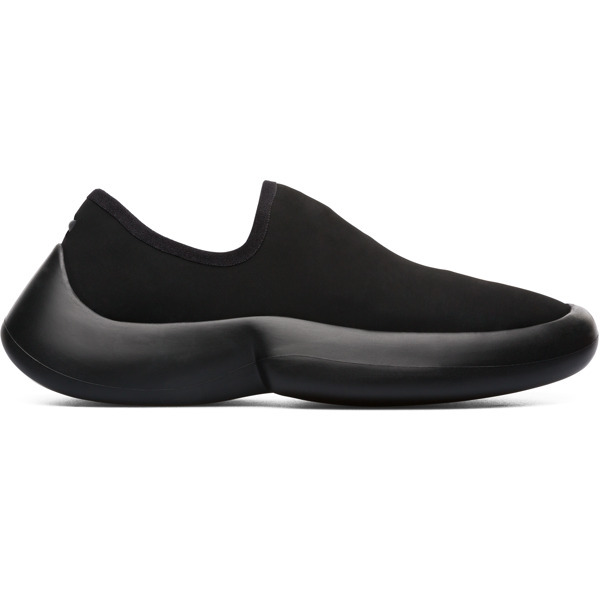 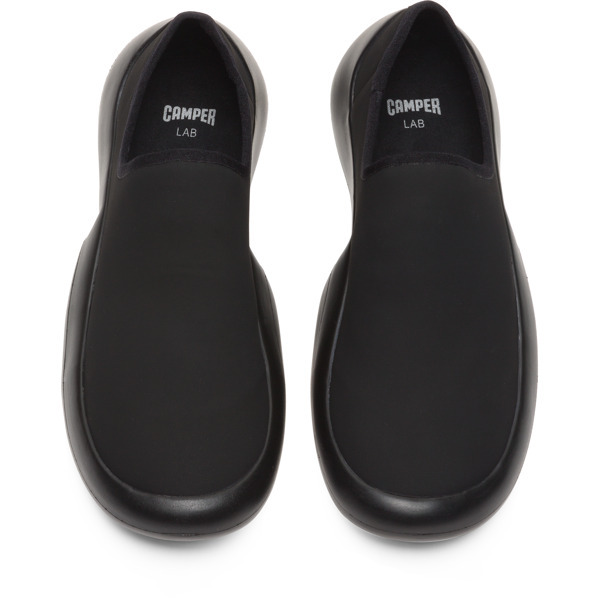 With an upper made of a neoprene-like material and a rounded rubber outsole boasting extraordinary grip, these shoes are non-slip, lightweight, and easy to wear. 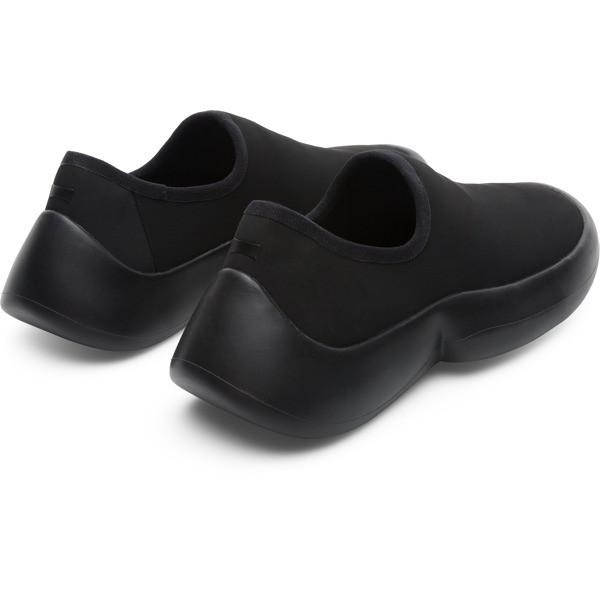 Put together with a unique binding system that makes the shoes extra flexible, using adhesive rather than stitching, they also have OrthoLite® insoles that add extra cushioning for your feet.